Android M is Android Marshmallow, Here is How it Tastes! You have been hearing about Android ‘M’ for a long time now, but always wondered what does that M stand for (or which is the next sweet it will it be named after?). It’s out now. 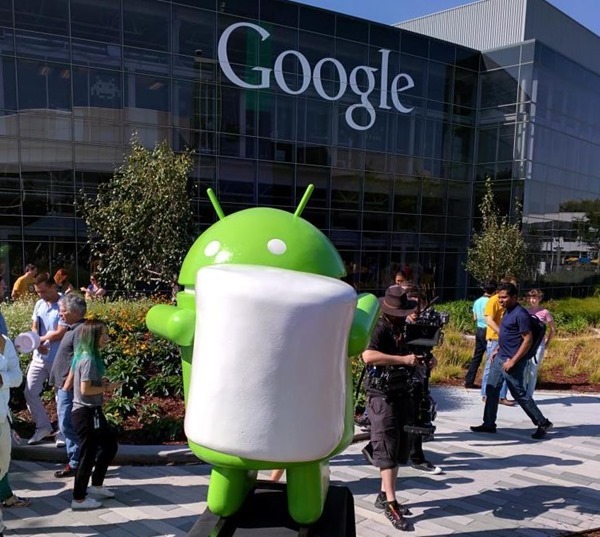 Google has revealed the latest Android 6.0 as Android Marshmallow. This version supersedes Android Lollipop, which was a Android’s biggest update till date. It is interesting to note that Google has given it a full version, and not a point version. Most of the people were expecting it to be five-point-something, which it is not! Lets look at what Marshmallow brings on table for Android user, more so, how tasty is it going to be. Android Lollipop was a huge upgrade to previous, probably the biggest till date that Android has seen. Marshmallow will not be that significant an update, but it does bring some nifty additions to somewhat already matured mobile OS. 2 Quick Finger Print Access. 6 How to Update to Android Marshmallow? This feature has been improved so you can choose which functions to allow an app access to. You can soon disable the location function with the new Android Marshmallow. In the new format, the apps will ask from permissions when needed, rather than asking them when you first install the app. The total number of permissions are limited to eight. Use this to unlock phone and log in to Google Play Store or other apps that require log in. No need to type a password on the screen just to get in because your fingerprint is enough. And yes, do not compare it with earlier fingerprint apps that never worked – this one really works…they say atleast 9 out of 10 times! Device battery will be more efficient in Android Marshmallow. The new power saving features and Doze mode that can reduce processes in the background. Determine which apps uses the most memory, this way, you can know what app to close. The Memory tab will tell you how much memory each app is taking up on your phone or tablet. There are number of other smaller features like new power supply feature, where other devices connected to the phone can get charged. Volume control settings and controls also get a revamp. Also, Android Marshmallow officially supports USB Type C connector. Overall, Android Marshmallow is quite tasty, however the portion probably is lot smaller than it’s predecessor. If you are an Android developer and have got your hands on Android Marshmallow, do let us know your feedback. How to Update to Android Marshmallow? Obviously this is a developer version, so if you are not a developer, it is not suggested that you should do it. However, if you are braveheart and want to give it a try, here is how you do it (as per official blog post). The Android emulator system images and developer preview system images have been updated for supported Nexus devices (Nexus 5, Nexus 6, Nexus 9 & Nexus Player) to help with your testing. You can download the device system images from the developer preview site. Also, similar to the previous developer update, supported Nexus devices will receive an Over-the-Air (OTA) update over the next couple days. Although the Android 6.0 SDK is final, the devices system images are still developer preview versions. The preview images are near final but they are not intended for consumer use. Remember that when Android 6.0 Marshmallow launches to the public later this fall, you’ll need to manually re-flash your device to a factory image to continue to receive consumer OTA updates for your Nexus device. Wondering about these naming conventions? Check out this behind the scenes video of how Marshmallow name came about! "Android M is Android Marshmallow, Here is How it Tastes! ", 5 out of 5 based on 1 ratings.